SECURITY FAQS is a Social Initiative by Digitals India Security Products Pvt Ltd. It answers all your queries regarding CCTV systems, Audio Video door entry systems, Security alarm system, Integrated Alarm systems, Metal Detectors and related accessories. Recent times have posed several questions regarding the security of students travelling in the school buses. A 4 year old molested in the moving bus in Mumbai has hit the headlines of all leading Indian newspapers. Serious questions have been posed by parents regarding safety of their kids to the school. Here is our recommendations on ensuring Student safety in buses using an advance GPS based CCTV solution. To setup a Compact Monitoring system in the moving school buses with capability of tracking the GPS route. CCTV acts as a crime deterrent and CCTV recordings can be viewed live at the monitoring station along with the GPS positioning of the School bus. The speed of the bus at any point can also be monitored at the monitoring station. This data is also recorded in the recording. As a Mumbai Govt policy all school buses should not drive at more than 40 Km/h. 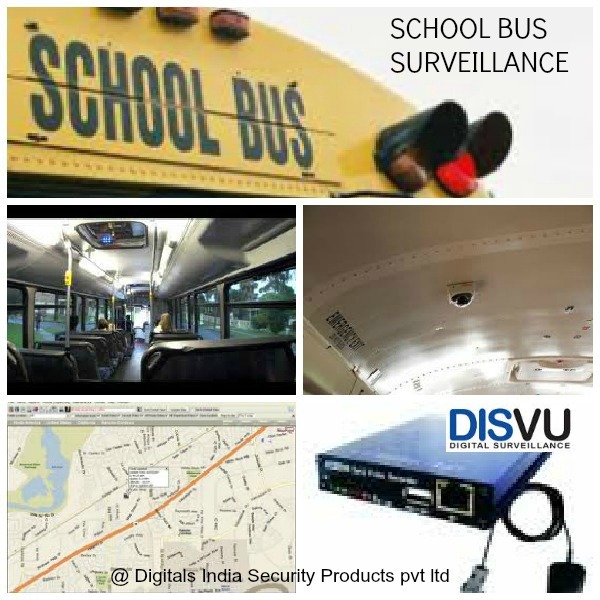 Labels: GPS based surveillance, School bus security, surveillance for buses. Really an effective tool to track the vehicles. Are metal detectors safe for pregnant women? 6 Important Tips for Comparing CCTV quotations. Only CCTV not enough for security of premises. Watch out, you may be holding a fake note. How to differentiate between genuine and fake notes. 6 CCTV Remote view myth busted! Copyright @ Digitals India Security Products Pvt Ltd. Simple theme. Powered by Blogger.